Why do we honor the men and women of Public Safety? Simply, they are the heroes we need them to be at the moment we need them the most. The Trauma Survivors Foundation’s Public Safety Award was initiated by the Board of Directors in order to provide an opportunity for the men and women of Delaware, Pennsylvania, Maryland, and New Jersey’s public safety community to be recognized for outstanding service to the citizens of Delaware. 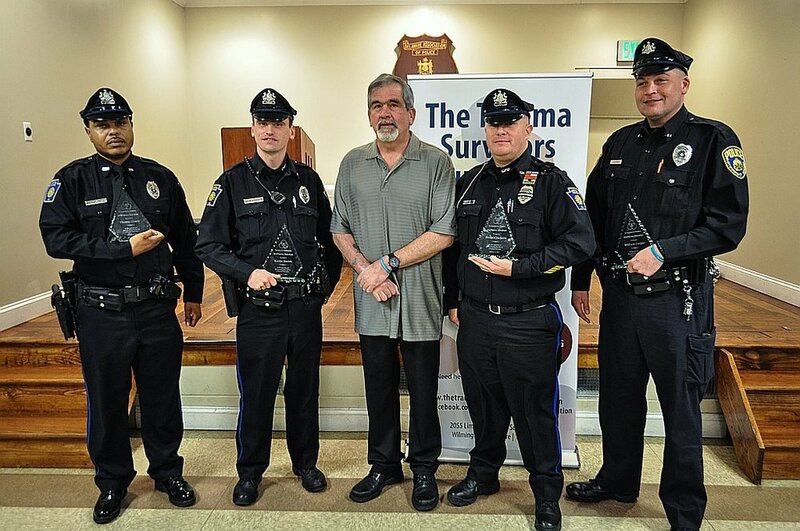 The Trauma Survivors Foundation’s Public Safety Award recognizes (1) those emergency services personnel who have gone “above and beyond the call of duty” to protect the lives and property of the citizens of Delaware, Pennsylvania, Maryland, and New Jersey and (2) those who have made significant contributions to their profession through community outreach, training, or charitable contributions. Thank you for your dedication to protecting and serving the citizens of the State of Delaware and surrounding areas. We are currently accepting nominations for the Dr. Sandra Gibney Public Safety Award and the Alyse Alvini Personal Hero Award until December 28, 2018.